An invoice can be marked as sent and becomes unpaid. Tag invoices for easier filtering and delete them if you have to. Once your invoice is sent to a client, switch the status of the invoice from Unsent to Sent and put down the sent date. The invoice changes it's status to Unpaid. Activity tab shows you everything that was going on with this invoice chronologically. You can add comments and discuss this invoice with other people. 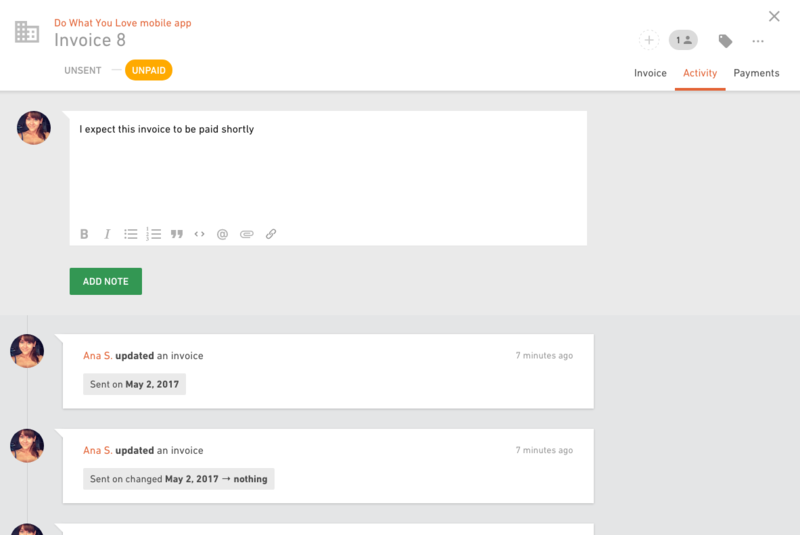 Add people to the invoice that needs to be notified when something happens with an invoice - someone leaves a comment, adds a discount marks invoice as sent or paid, etc. 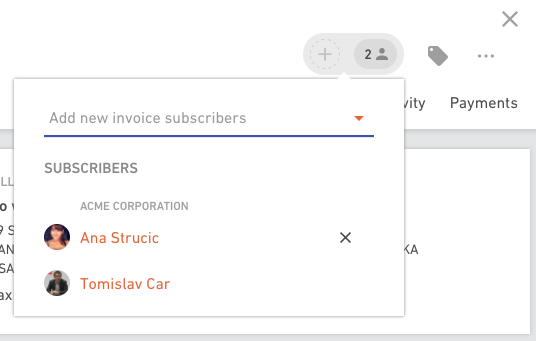 If you need to remove a subscriber from an invoice, just hit the x next to a subscriber. That person will no longer receive any notifications on this invoice. 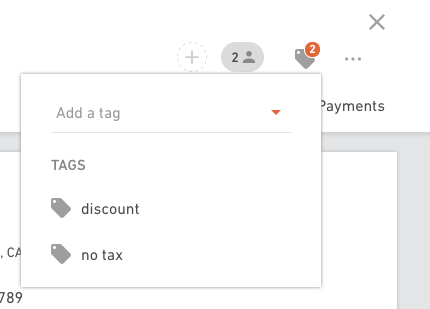 Add tags to your invoices for easier organizing and filtering. You might want to take a look at the budget the invoice was created from. 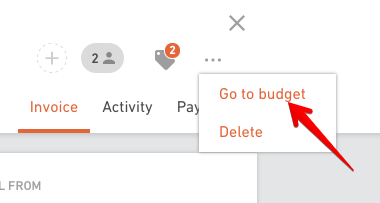 Click on the menu and select Go to budget option. 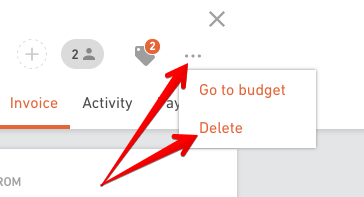 Click on the menu and select Delete option.